I am counting my blessings today. One blessing is what I term my reader OCD, an insatiable need to read series in order. When I received At the River's Edge by Mariah Stewart, book seven in her The Chesapeake Diaries series, I knew that I should read books one to six. What I hadn’t counted on was that there were more books from Stewart’s backlist that would elucidate the stories of The Chesapeake Diaries, specifically book two in her Last series, Last Words, which introduces readers to the town of St. Dennis and the characters of Police Chief Gabriel Beck and FBI agent Mia Shields. 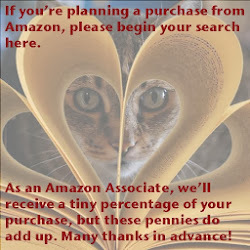 Why am I so happy and feeling blessed that I “had” to read additional books? Because they are just so wonderful! I have been having a Mariah Stewart moment here the past two days, and read not just book two in her Last series, but books one and three as well. I “needed” to know more about the Shields family. Really, I did. Now, I’m not going to say that you have to read any other books to enjoy At the River's Edge, book seven in Stewart’s The Chesapeake Diaries series. You really don’t have to as this is a self-contained novel. But may I strongly encourage you to do so? This is an author and series that you will want keep on your permanent book shelf for years to come. She’s created a true family, characters, and community that you’ll fall in love with too and I know you’ll want to follow their stories as I do. In fact, I’ll be searching out both her Enright Family series and other books that relate to the characters of St. Dennis. Sophie, who is a prosecuting attorney in the Ohio town where she and Jesse grew up, discovers that her long-time boyfriend is cheating on her. Not only is he cheating on her, but he’s one of her colleagues at work and is doing the deed with the “office skank.” To clear her head, she makes the decision to visit Jesse and her grandfather Enright in St. Dennis and takes a week vacation from her job. While there, she discovers a special location that might be the outlet for a longterm dream of hers - a restaurant. Jason, who moved to St. Dennis after dissolving the Florida landscaping business he and his deceased brother founded, has just purchased part of his dream location, permanently locating his new landscaping business in St. Dennis. But he has his eye on a neglected property next door and is doing everything he can to purchase it to make his dream of a nursery garden retail location a reality. When Sophie and Jason encounter one another during this week-long visit, sparks begin to fly, but they’re a bit muted as neither one is serious about starting anything from a distance. What happens next? Will either of their dreams come true? Will those sparks be turned into flames and something lasting? Oh, you’ll just have to read At the River's Edge to find out! I love the way Stewart intertwines all the characters from the previous three books - as well as bringing in other characters like the Enrights (Jesse and Sophie’s half sisters and brothers) whose stories are contained in Stewart’s The Enright Family Collection: Devlin's Light, Moon Dance, and Wonderful You. In addition, there's a special treat as at the end of the book, Stewart shares some of the heirloom St. Dennis recipes she described with such mouth-watering success in At the River's Edge. For me it’s a bit like Christmas to find an author who can convey the sense of “knowing” that Stewart does in her stories. With each book I read, I felt more and more as though I could plug coordinates into my GPS and set my car south towards the Eastern Shore of Maryland to arrive at St. Dennis. Yes, I’m ready to “Discover St. Dennis,” grab a coffee at Cuppachino's, a dress or bag at Bling, stroll with a cone from Scoops, grab my favorite other sweet treat at Cupcake, and have breakfast or lunch at Blossoms, while spending my night at The Inn. Stewart has made me, as a reader, feel invested in her stories and her characters in a way that can only be said to be remarkable. So, I highly recommend that you add her books, if they are not already there, to your must-read list. They are just fabulous stories that are filled with true romance, humor, compassion, and life - real honest to goodness daily life. I’m awarding five stars to Mariah Stewart’s moving, beautiful romance At the River's Edge, that is a lesson in love, trust, true compassion, and faith. In addition, five stars are awarded to the entire Chesapeake Diaries series that should be added to your permanent must-read list. In the wake of his wife’s murder, agent Grady Shields turned his back on the FBI—and everything else—to retreat into the vast solitude of Montana, grieve for his lost love, and forget the world. But after years in seclusion, his sister’s wedding draws him to St. Dennis, a peaceful town on the Chesapeake Bay. Though he swears he isn’t interested in finding love again, Grady can’t ignore the mutual sparks that fly when he meets Vanessa Keaton. Although her past was marked by bad choices, Vanessa has found that coming to St. Dennis is the best decision she’s ever made. Bling, her trendy boutique, is a success with tourists as well as with the townspeople. She’s made friends, has a home she loves, and has established a life for herself far from the nightmare she left behind. The last thing she’s looking for is romance, but the hot new man in town is hard to resist. And when Vanessa’s past catches up with her, Grady finds that he’s unwilling to let her become a victim again. As together they fight her demons, Grady and Vanessa discover that life still holds some surprises and that love doesn’t always have to hurt. In the tradition of Robyn Carr, Susan Mallery, and Barbara Freethy, the stories in the Chesapeake Diaries series combine captivating contemporary romance with the heartwarming power of healing and redemption. Once you settle into the charming small-town rhythms of St. Dennis, Maryland, you’ll never want to leave. And now, you won’t have to, with the first five novels in this beloved series from New York Times bestselling author Mariah Stewart collected in one eBook bundle: COMING HOME, HOME AGAIN, ALMOST HOME, HOMETOWN GIRL, HOME FOR THE SUMMER. Along the way, you’ll meet Steffie Wyler, the proud owner of the One Scoop or Two ice cream parlor who is still searching for her happily ever after, Brooke Madison Bowers, the local pageant star who falls to pieces when her husband is killed while serving in Iraq, and Dallas MacGregor, the award-winning actress who seeks refuge in St. Dennis after her Hollywood dream turns into a tabloid nightmare. 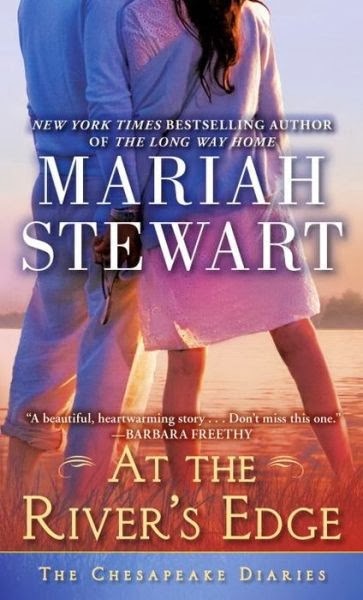 The Chesapeake Diaries series brings together these unforgettable characters, and many more, in Mariah Stewart’s enchanting tales of love, compassion, and second chances.